South Africa, Cape Town, Township of Khayelitsha. 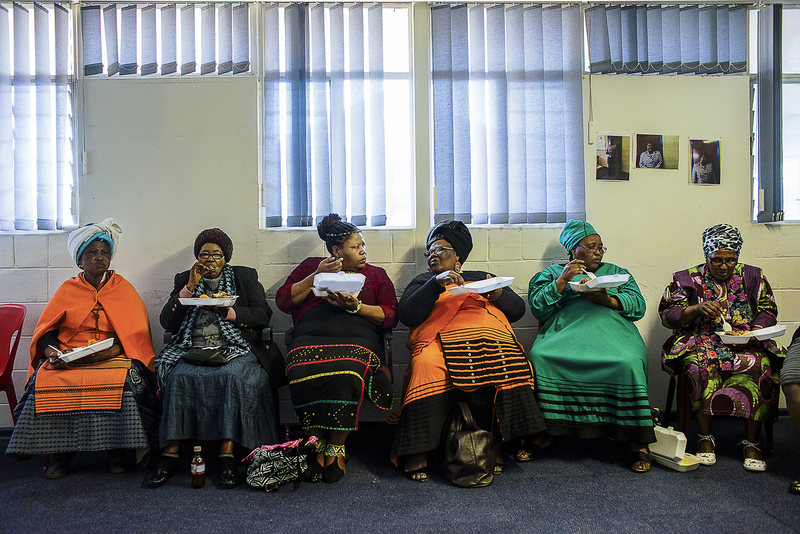 Some women with South African traditional clothes, during a political meeting organized in the township of Khayelitsha one of the poorest areas of Cape Town. During the meeting, have been offered free food and alcohol to all present. South Africa, has one one of the highest overweight and obesity rate in sub-Saharn Africa: two-thirds of the population are overweight, driven by increasingly sedentary lifestyles, a rise in disposable income and the popularity of cheap junk food, sugary drinks, fat- and salt-laden crisps and fried chicken who are becoming popular in South African diets.